(ENG) We would like to invite you to attend our conference entitled “Improving Migrant Democratic Participation in Ireland” which will be held at the European Parliament Dublin, 43 Molesworth Street, Dublin 2, on Saturday 19th October 2013 from 10am to 4.30pm. 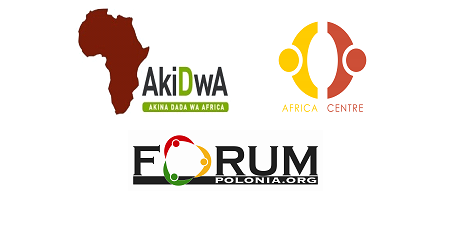 AkiDwA, Africa Centre and Forum Polonia are working together to increase the democratic participation of immigrants. AkiDwA promotes the equality of migrant women in Irish society, supports migrant women’s greater participation in Irish society, and develops migrant women’s capacity for participation and representation in their communities. Africa Centre‘s mission is to facilitate the meaningful inclusion of African people in all social, political and economic aspects of life in Ireland. Forum Polonia is a cooperative platform that brings together representatives of various Polish community organisations, the media, and individuals involved in projects relating to the Polish minority and its links to Irish society as a whole. In order to assess the current state of migrant participation in civic and political decision-making in Ireland, AkiDwA conducted a baseline research on democratic participation of immigrants in a variety of organisations throughout the 26 counties of Ireland. On 19th October we would like to share and discuss the outcome of the research. There will be high-profile leaders to speak and highlight the importance of democratic participation of immigrants and provide models for other countries whose integration was improved through immigrant participation. Venue: European Parliament Office, 43 Molesworth Street, Dublin 2.